So, here we have it. Ubisoft has set its hype train’s dial to overdrive. Does the beta contain the much touted Global Illumination and insane amounts of detail that was showcased in their features/E3 2013 trailer? No. Does it contatin very pretty graphics anyway? Yes. It also happens to have very good, snappy controls and great feeling gunplay. This is post-pandemic New York. 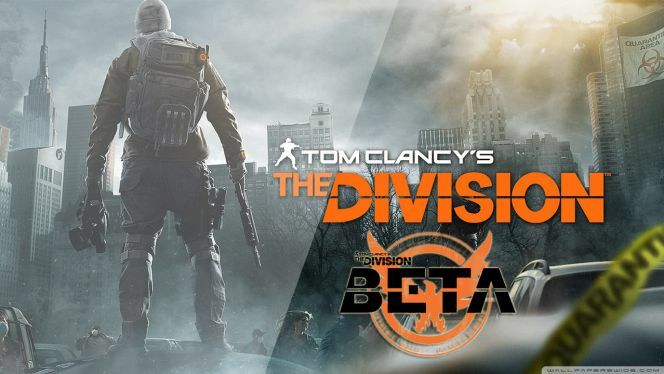 Ubisoft gives us a very small taste of their upcoming RPG open world cover shooter, The Division. Overall, this is looking very promising. Dark Zone is a nice twist on Deathmatch + co-op tactics against players and AI. The main campaign’s story isn’t anything new but could prove engrossing, especially with other players. Repetition is a concern. So far, we’ve seen “go here, kill those guys” rinse and repeat. Sure there are a couple of objectives thrown into the mix but ultimately, you’re still mowing down the same AI. There’s no stealth options either, which is a shame as we’d like to have more options other than engage or retreat. The cover system feels great and very familiar, it almost feels as though it was lifted straight out of the awesome Splinter Cell Conviction and tweaked somewhat. No complaints there. Netcode is solid with all player and companion animations and actions feeling very solid. I only witnessed “floaty” buddies a couple of times. It’s refreshing as we’re used to seeing wonky, floaty animations in most online games, no so with The Division. Everything snaps nicely into place. Pretty impressive considering we were utilising the very iffy U-play servers. So, will I be purchasing the game? Absolutely, it’s beautiful, plays well and immerses you. I hope there’s more meat to the variety of missions and game modes when the retail version drops on 8th March. Until then, i’m going back to play some more while the servers are still up. Adios!